With more than forty thousand students, the UB offers a wide range of courses for Bachelor´s degrees, master’s degree, doctoral programs and other specific courses and programs. The 18% of students go to the UB to develop their skills in the 156 different postgraduate degrees that the UB has to offer; while the other 82% of the students choose the university for their first studies, where they can choose between 83 different undergraduate degrees courses. Almost 15% of the students are from overseas and of over 122 different nationalities. The University of Barcelona states that Quantitative and qualitative research is at the heart of what they do. This commitment to research has positioned the university as one of the most prestigious universities in the world regarding research impact. The University of Barcelona has an international vocation, thereby is a member of leading worldwide university networks, including the League of European Research Universities (LERU), the COIMBRA group (CG) and the coordination of the Arab-Euro Conference on Higher Education (AECHE). It has over 2.800 International agreements, including agreements with 82 of the top 200 universities in the world. 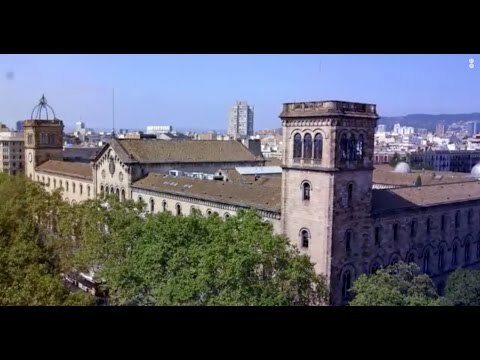 In 2009 the University of Barcelona was granted the International Campus excellence award, which proves one more time that the university strives to succeed and to keep its status as one of the best universities, not only in Spain but in the world. My opinion about the University of Barcelona is very good, its methodology is excellent and its teachers are very professional. Additional has values ​​that are accessible to many people with the advantage of being a degree abroad. I really enjoy the kind of students you will find there. When you become a UB student, you will join to a big network. At the same time you will focus to your degree, you will be enjoying to be a student. You will find the concepts and the way to achieve everything you want. You willl find the method, the people, teachers and the theory. I studied a masters through the Online Business School together with the Universitat de Barcelona. The master is alright. There are few inspiring teachers, and some really bad teachers. Studying online makes it easy to coordinate between work and studies, as well as traveling, but you need to have will to put yourself to do the weekly tasks. It was a great opportunity to meet other professionals from LATAM, since most people who study this master were from South America and they were already working and had some experiences in the field. The online masters are done through “Blackboard” which is a quite old fashion online platform, kind of like a forum. It also has an app, so you can be updated through your phone. There are online classes and consultations every other week or three, which is too few in my opinion, but on the other hand, some teachers do not really prepare that much… and they just present a powerpoint they’ve been using for years (in a master about Digital Business). In general, the master was fine, but would have liked to see more engaged teachers along the whole year. Would recommend it if you want to combine it with work/year of travel. I did one year of Erasmus studies at the University of Barcelona and I really liked it. I could choose from a big offer of courses, times that the courses were offered and also languages the courses were offered in (Spanish, Catalan and English). Like this, every student could put together his or her individual schedule with times and topics and languages that he or she liked best. Apart from that, the University of Barcelona is very international, there are hundreds of international students incoming as well as hundreds of students from Barcelona outgoing. Thanks to the activities of the “Welcome Week”, you get to know other international students very easily. Next to that, the buildings are not on one campus, but there are several campuses all around the city, which has the disadvantage that some buildings are perfectly located in the city centre while others (mine) are located at the very end of one side of Barcelona. Still, it’s connected quite well with metro, tram and busses. There is also a big offer in extra curricular activities. Sports, political parties, student organizations, … I was part of the student association AEGEE-Barcelona/European Students’ Forum, which enriched my student life in a way that I found amazing friends, I travelled a lot thanks to AEGEE, I took part in different soft skill trainings and developed myself by working in AEGEE both on a local level, organizing projects and events and on the European level, participating in events and taking leading roles in our trans-national groups. Especially as an Erasmus student you are very welcome there. If you prefer to only participate in Erasmus activities and travels, I suggest to stick to ESN Barcelona (Erasmus Student Network). I studied at Holland until my university time and also started my university degree at Holland. After I came to Barcelona as an exchange student I have decided that this city is created for me and that’s why I moved to Barcelona and kept my studies here. After my graduation, due to its warm weather, as you know dutch people are not similar to warm weather, city was charming. Even my basis is coming for dutch education system, I easily got used to spanish-catalan education system. University is one of the most global universities in Europe. Welcoming international students all around world. System is more interactive compared to dutch system. If you like to be more active like me, UB is a good option for you. UB economy- international trade and financial studies. In my point of view, UB has very modern equipment for the classroom, and library, etc. The study atmosphere is pretty nice, the teachers are very qualified. And I appreciate a lot the administration system, I have access to a lot of materials all the time, as long as I log in my account. UB has several campuses, in the centre, the building is very attractive, I highly recommend this university. I was Erasmus student at UB for a semester but this was enough time to understand how perfect was Barcelona and its historic university. The campus is located at city centre that’s why it is close to everywhere and students can do many different activities during their break time or when school is over. About education, the system is self-enhanced that adding more and more to the current value. I was A2 level before I started my Erasmus and during classes lecturers kindly helped all foreign students to catch up with local students and learn Spanish. That’s why I both learned a new language and had a different perspective for my studies. I wish I could study all my years at UB. -very rarely received feedback on assignments, tests, presentations etc. It is a unique experience, completely different from what we were accustomed to now. My faculty itself is very good although there are always aspects to improve; For example, some groups do classrooms in quite uncomfortable classrooms with regard to the chairs and the tables are so narrow that there is not even a single sheet … It must also be said that there are very good parts such as laboratories. What I do not like so much is the difference that is made when doing exams; I want to say that I find it unfair that for example morning groups have different exams than those of late, or even among ourselves. In general, it is an experience that I recommend since we are all aware that nothing is perfect and we have to get used to what is there. If you're the owner or representative of Universitat de Barcelona - UB, you can claim this University and build a better profile. Interested in studying at Universitat de Barcelona - UB?